The holy grail of real estate investing, acquiring properties you can rent for more than it costs to own and operate them should always be your goal. Like any other business, to be successful, you must be profitable. 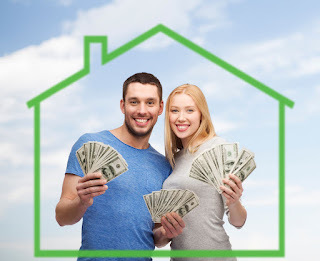 Fortunately, there are some key strategies you can employ to ensure your real estate investment has positive cash flow. The first thing you need to do is find an area with the potential for growth with which you are familiar—or can become familiar. Most investors start out buying near where they live. However, if you’re located in a mature (read very expensive) market such as San Francisco or Manhattan, you’ll likely be better off targeting a newer, more suburban area. However, rather than going in blindly, spend some time getting to know the region. You want to get a solid understanding of the types of people who are attracted to a given neighborhood, what it costs to maintain properties there, and most importantly, how much rent you can charge and still be competitive. Once you’ve studied the locale, it will be easier for you to recognize solid opportunities when you run across them. This is where working with a residential property management company like Onerent can also be beneficial to your enterprise. The best ones know the areas they serve and can make solid recommendations based upon your preferences. When purchasing, ideally, you’ll want to get into your investments for at least 20 percent less than the location’s median price. You’ll also pay for inspections, appraisals and transfer fees when you purchase, so these should be factored into the purchase price. You can then apply the following equation to get a rough idea of the profit potential of the investment. If the answer is eight percent or more, you’ll probably be fine. Anything over 10 percent is pretty much a slam-dunk. A number below eight percent is likely to be problematic. Keep in mind; this assumes you have your costs in line so they don’t eat into that eight to 10 percent margin. So before you get excited about it, take some time to calculate the expenses you’ll need to cover. One of the most important costs is the typical vacancy rate for the area in which the property is located. Your local realtor board can usually supply this information. Whatever the percentage works out to be, you’d be smart to hold a commensurate amount of the property’s annual income in reserve to cover it. Property taxes should also be included in your operating costs. Repairs, maintenance and turnover costs usually come in at around five percent of the annual income, so you should set aside cash for those as well. While repair costs won’t come up all the time—if you’ve identified a sound property—it’s better to have the cash in reserve than it is to scramble to find the funds when an emergency arises. Looking at all of these numbers, you’ve by now realized only a small percentage of the properties you’ll encounter will qualify as guaranteed profit-making propositions. This is why it’s so important to go in with your eyes open to ensure your real estate investment has positive cash flow. Basing your decisions on solid math, rather than speculation — or worse, an emotional response — will help you keep your choices grounded in reality. While it’s very easy to fall in love with a pretty property, it’s important to remember beauty is only skin-deep. Negative cash flow cuts to the bone.